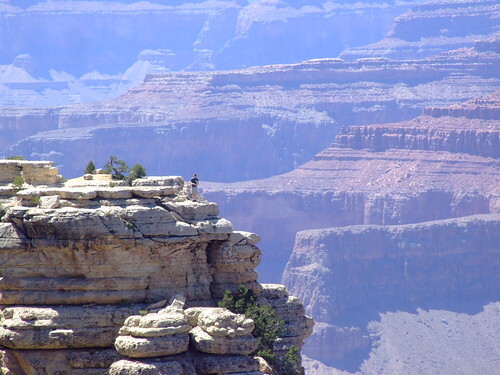 The tiny figure of a man is dwarfed by the immense rockscapes of the Grand Canyon. Looking out across the Grand Canyon from near Mather Point. That's probably the first photo of the Grand Canyon which has given me a good sense of scale.